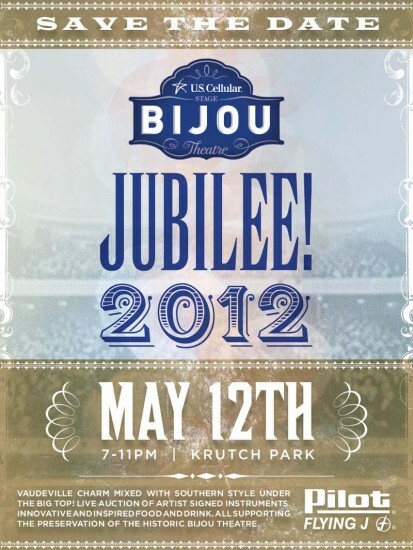 Mockingbird is excited and honored to be helping producing the Bijou Jubilee! The Jubilee! is an annual celebration of the spectacular, historic Bijou Theatre and serves as the primary fundraiser supporting the ongoing operation and preservation of this legendary venue. Stay tuned for an array of exciting details about the party. In the meantime, SAVE THE DATE! Posted in Uncategorized | Comments Off on Bijou Jubilee! On Thursday February 16 from 5:00 â€“ 8:00 at the Public House we’ll be featuring a Joel Gott wine flight. Flights will be priced individually. No tickets needed. Joel Gott wine is one of the first winemaker driven wines I was exposed to. The brother-in-law of friends in Whitesburg had a wine shop in Napa and they would get amazing wine by the case from him. Living in a dry county that was the best option. Now that I think of it, living anywhere, that is the best option. A source, right at the source! “Napa scion Joel Gott was born to make wine. His grandfather was winemaker and president of Inglenook in the 1960s and 1970s while his father, Cary Gott, is the founder of Montevina and continues to consult for wineries such as D.R. Stephens. In addition to Joel’s uncanny blending ability, he has privileged access to many of the best and as yet undiscovered fruit sources in the Napa Valley. Joel Gott wines are therefore remarkable values, offering gobs of classic California fruit, good structure and excellent balance. We’ll be sampling his Pinot Gris, Riesling, Relative Red & Cabernet Sauvignon. They are all complex, smooth wines. These are wines that are on the slightly high end of the bar’s price range, so it’s a great chance to taste some wine that we don’t offer at the bar regularly. Hope to see you all out! I’m getting a head start on Bijou Jubilee! decorations. 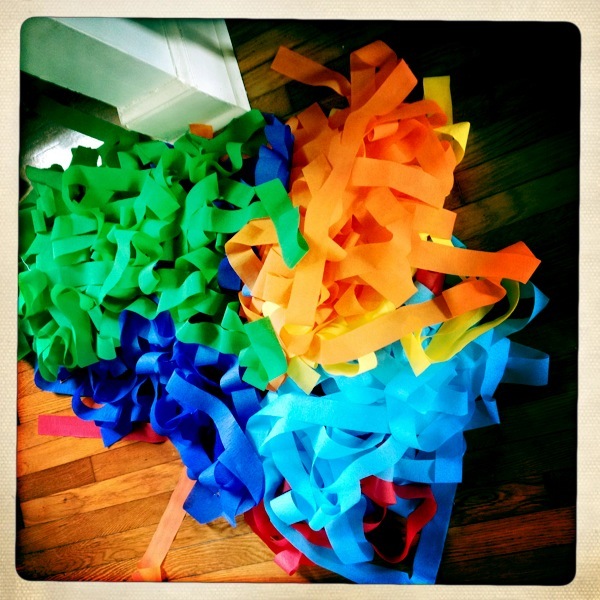 Crepe paper chandeliers. These are super fun and colorful! Can’t wait to see them under the big tent!! 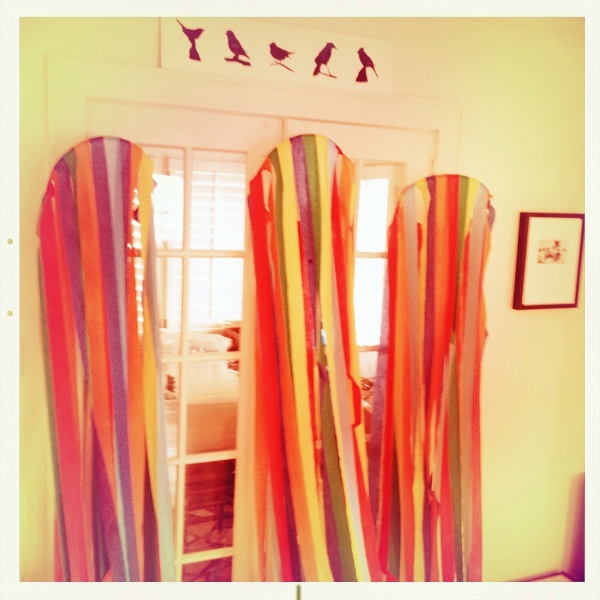 Posted in Uncategorized | Comments Off on Party Decoration Fun! Copyright© 2019 - Mockingbird Events - The Greatest Good = Pleasure + Happiness for All!